The Hotel Marc Aurel is within walking distance from the landmark of Vienna, St. Stephen’s Cathedral, Kärtner Strasse, Schloss Schönbrunn and Belvedere. 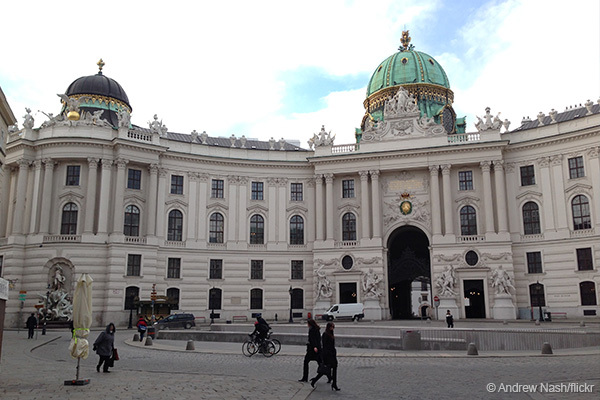 Experience Vienna on the pulse of the city, surrounded by the most beautiful sights! 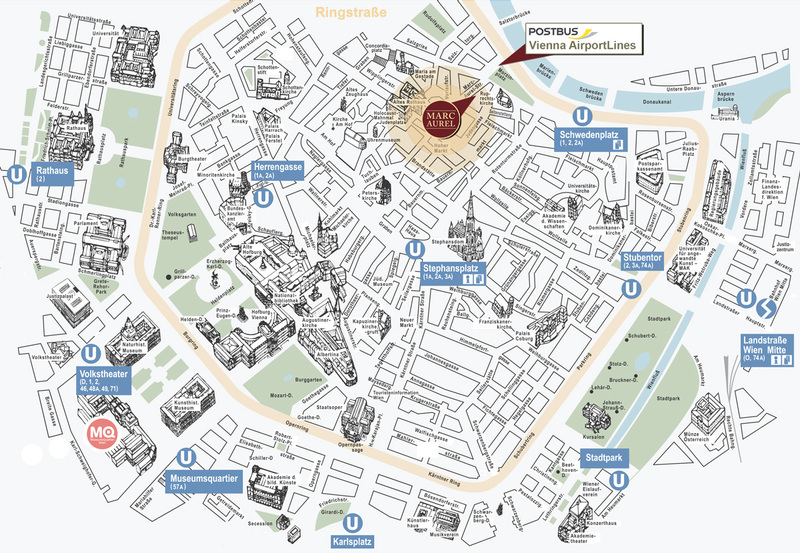 From our Hotel a number of attractions, like the main shopping street of the city center aswell as the congress-location “Vienna International Centre (VIC)” are quickly and easily reachable by foot! 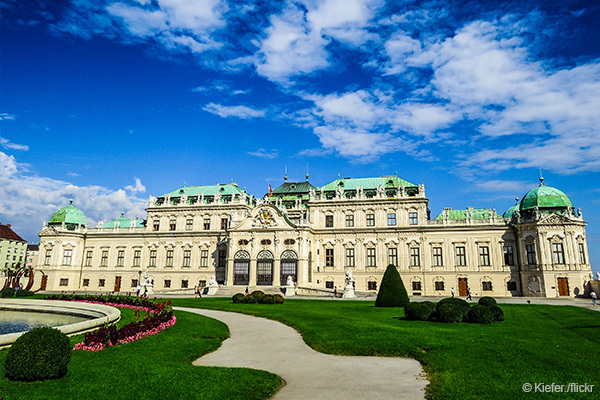 With the VIENNA SIGHTSEEING TOURS you can experience the imperial-nostalgic flair of Vienna close and convenient – you’ll be picked up for your desired tour directly from our hotel. Information about the current tours can be found in this brochure. You can easily book on site at our hotel reception. 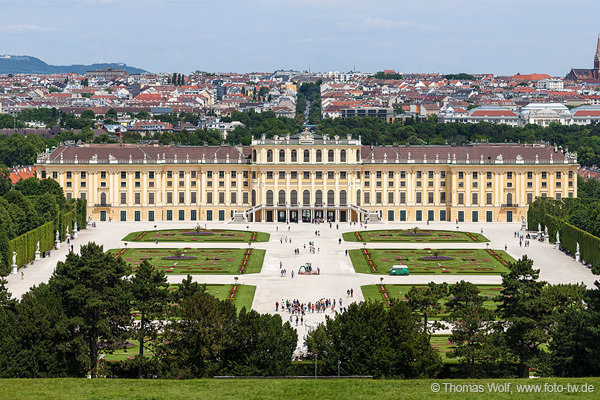 Schönbrunn Palace is a World Cultural Heritage site and Austria’s most-visited sight. The baroque total work of art consisting of palace and gardens was for centuries the property of the Habsburgs and is today largely in its original condition. 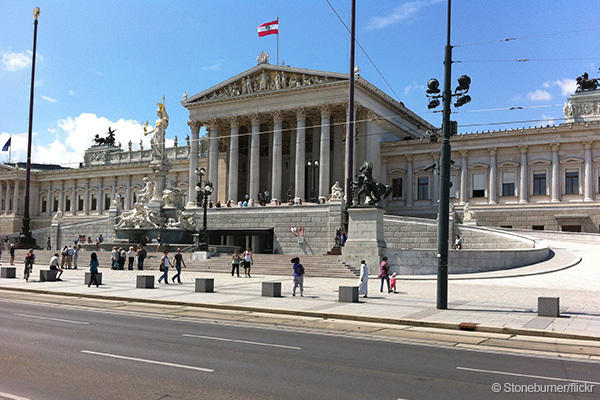 The symbol of Austria. 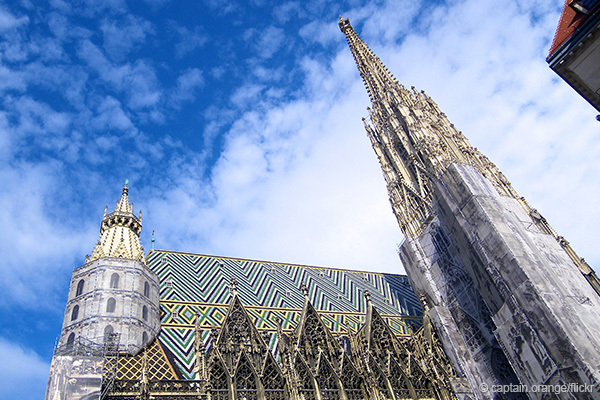 With nearly 3 million visitors per year, the Stephansdom is high on the list of attractions. The building is 107m long and 34m wide. 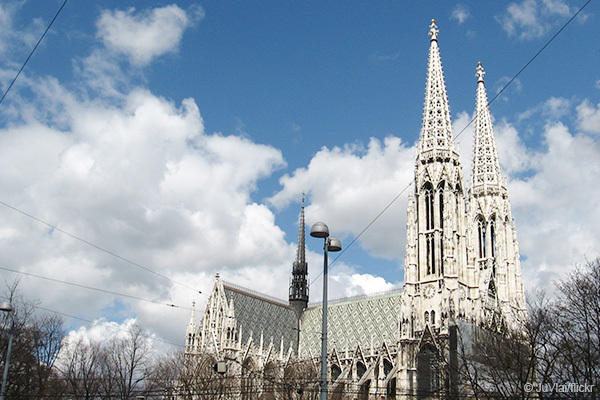 The cathedral is one of the most important Gothic buildings in Austria. It is one of the most famous castles of Vienna, with its magnificent state rooms offers a wonderful setting for a fairy tale wedding and other events. As it is also a museum, visitors have the possibility to admired the castle and the works of art. The historic parliament building is about 130 years old and full of history and stories, art and sophisticated architecture. Visitors can experience live how and where politicians work. 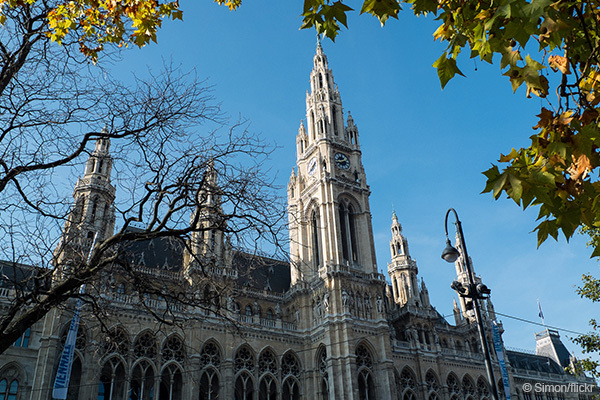 The Vienna City Hall is the largest non-secular building in the Gothic Revival style. 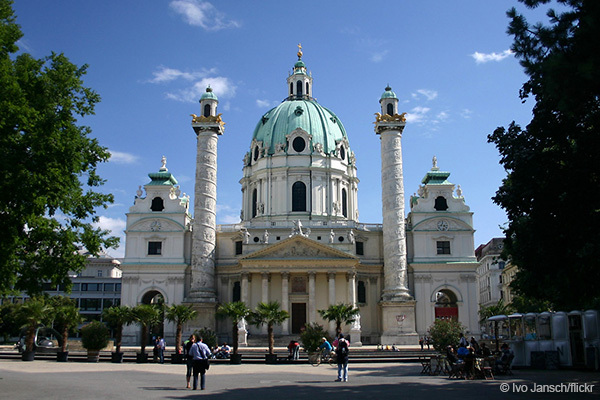 Numerous events take place in and around the Town Hall every year (eg: Vienna Life Ball). 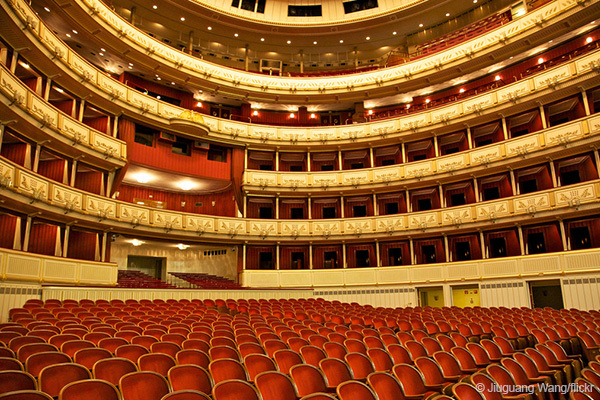 One of the most important opera houses in the world to offer an international audience exciting musical theater at the highest level. The most important event is the annual Vienna Opera Ball. 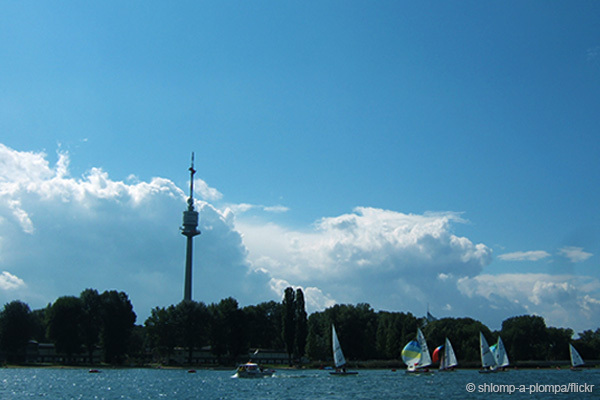 252m high and two high-speed lifts taking you to the rotating restaurant in 165m height: This is the Danube Tower, landmark of Vienna with a breathtaking view over the city. Flashy sacred architecture with a mighty dome: Charles Church, the last great work of the baroque architect Johann Bernhard Fischer von Erlach. Regarded as one of the most important gothic religious edifices in the world. The three-aisled basilica in neo-gothic french kathedralschema is one of the most important buildings of European historicism. 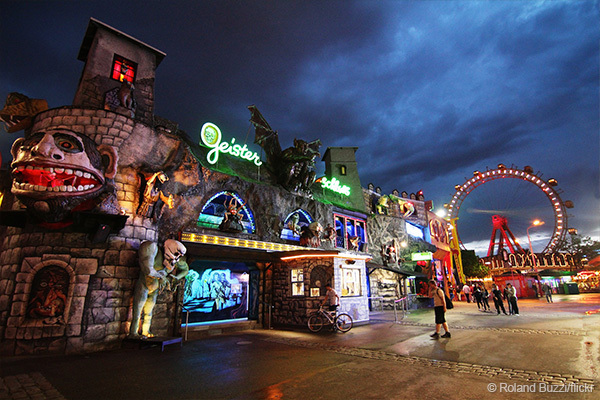 One part of it contains attractions from nostalgic carousel to modern roller coasters. While the other part, the “Green Prater”, consists of lawns, shady trees, and quiet paths. Pure nostalgia – built in 1897. 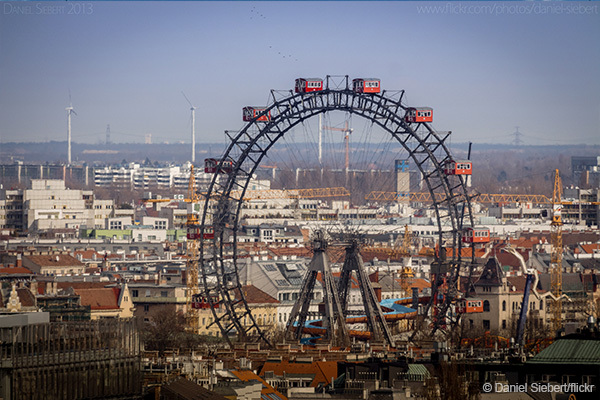 Not until you have driven on the Ferris wheel, you were really in Vienna! Enjoy the view of the city from 64,75m height.